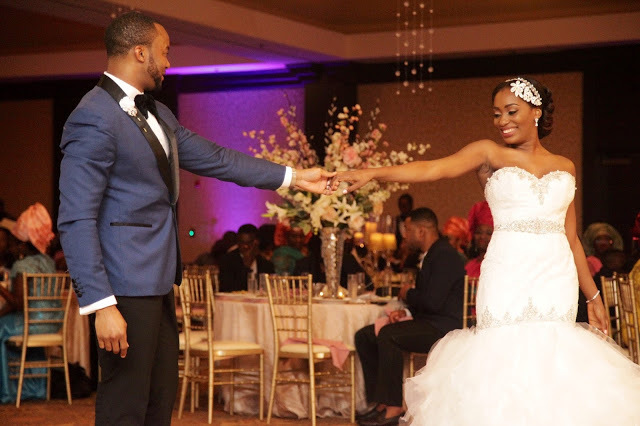 This bride and her dramatic illusion back gown with long lace sleeves…sigh! She is stunning! 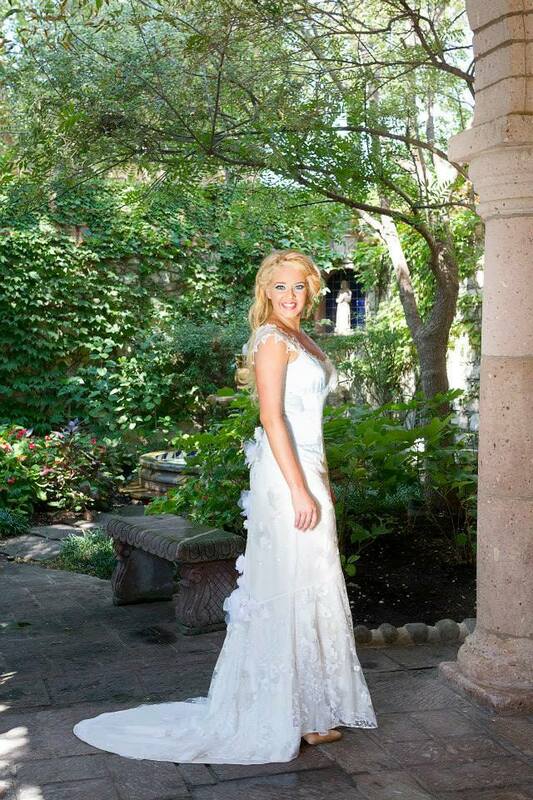 Gorgeous Melissa married Matt in a lovely ceremony at Perkins Chapel, followed by a reception at the Dallas Arboretum. 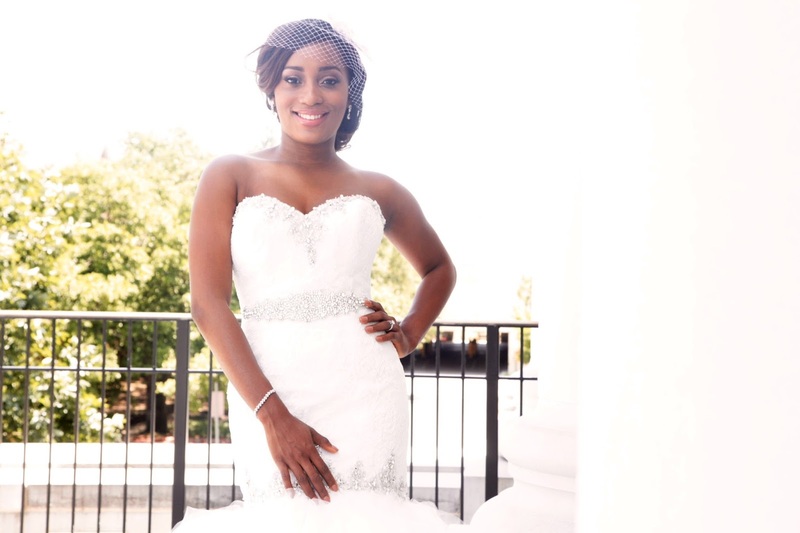 Beautiful Melissa found this romantic lace Allure bridal gown with the illusion back at LuLu’s Bridal. 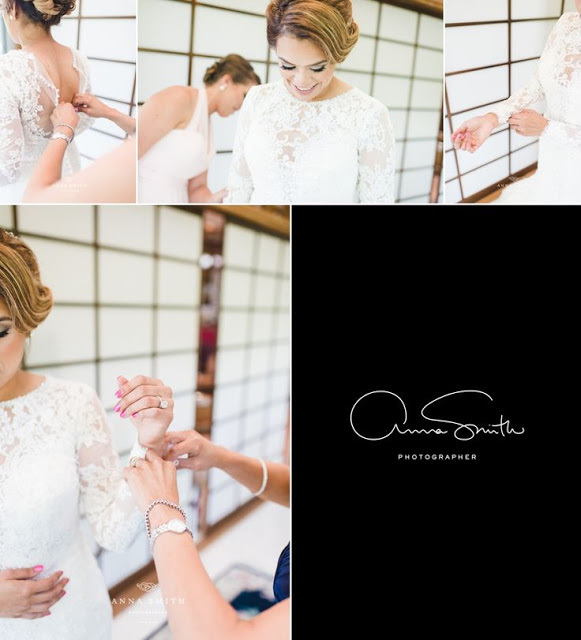 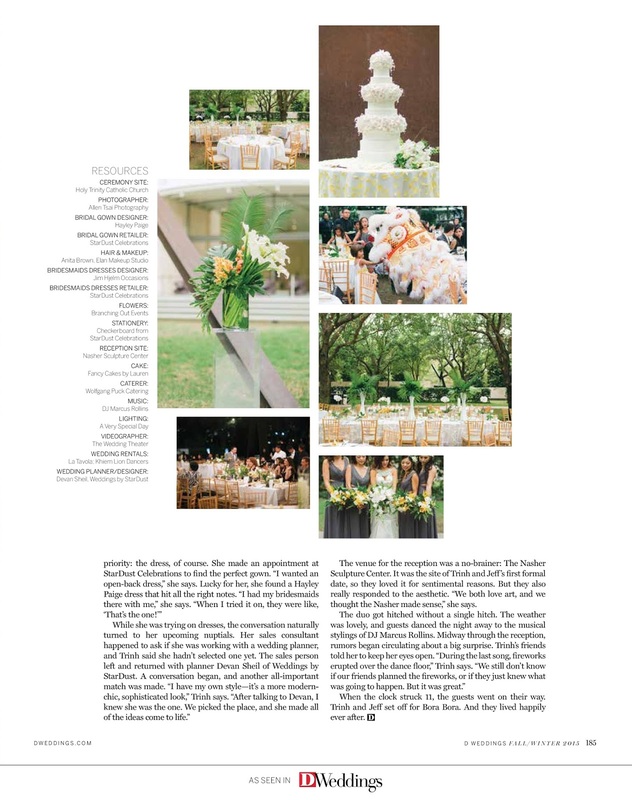 Here are lots of incredible photos by the talented Anna Smith that capture this elegant bride and the couple’s fabulous day. 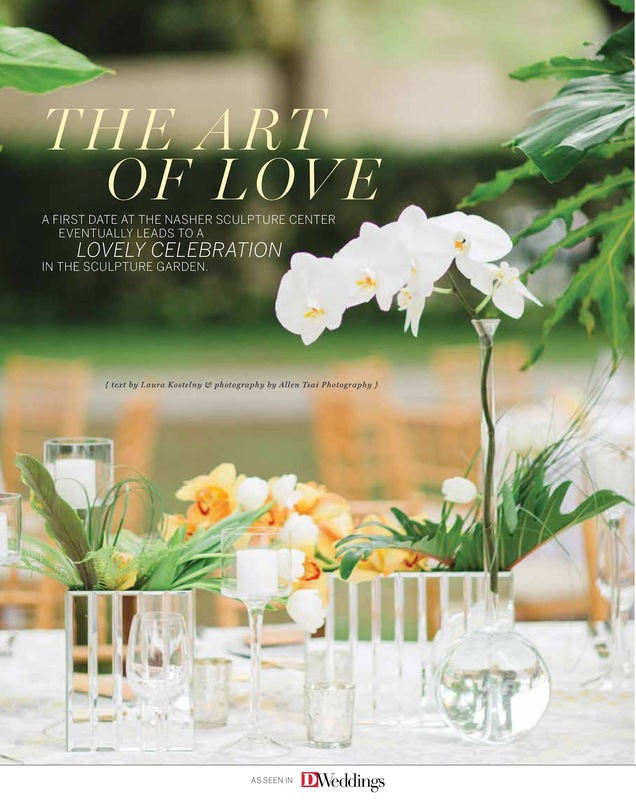 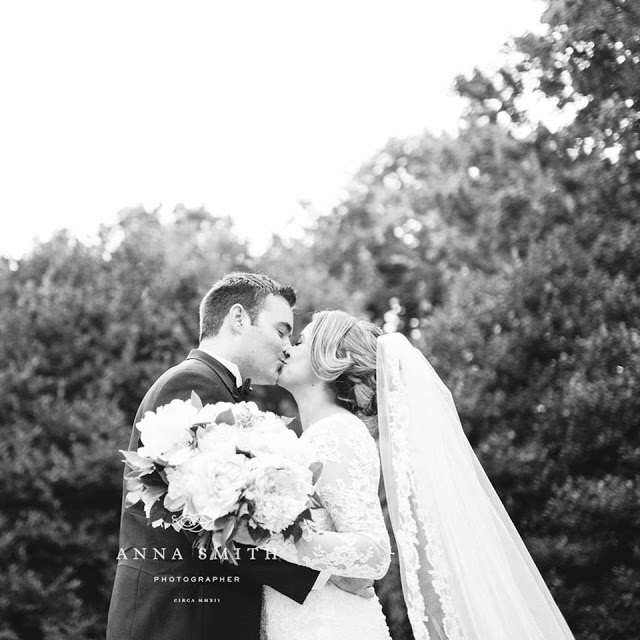 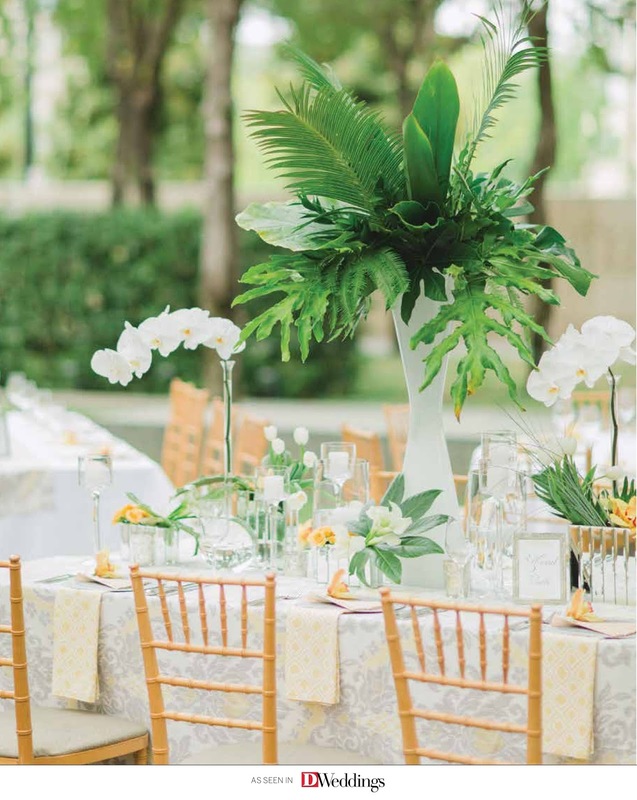 See more photos and the vendor dream team for this special day on Anna’s blog! 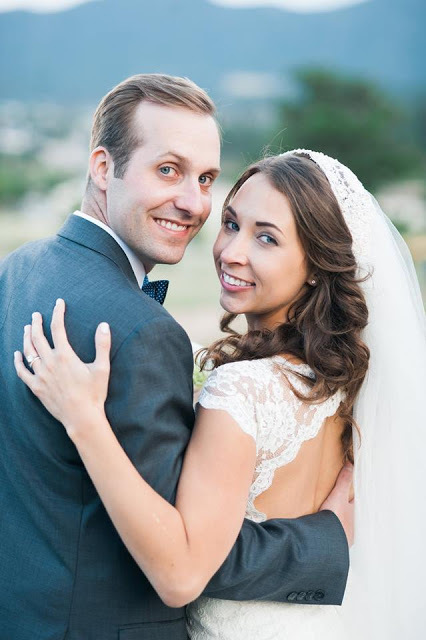 Congrats Melissa and Matt on your new marriage! 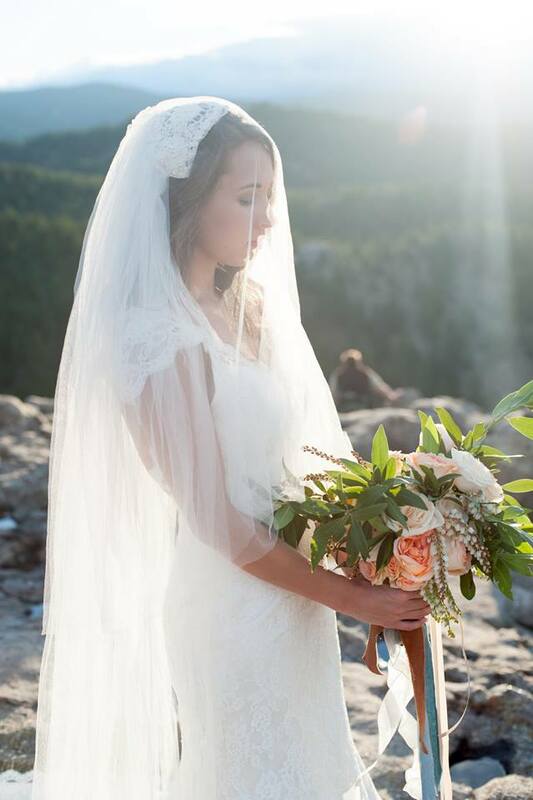 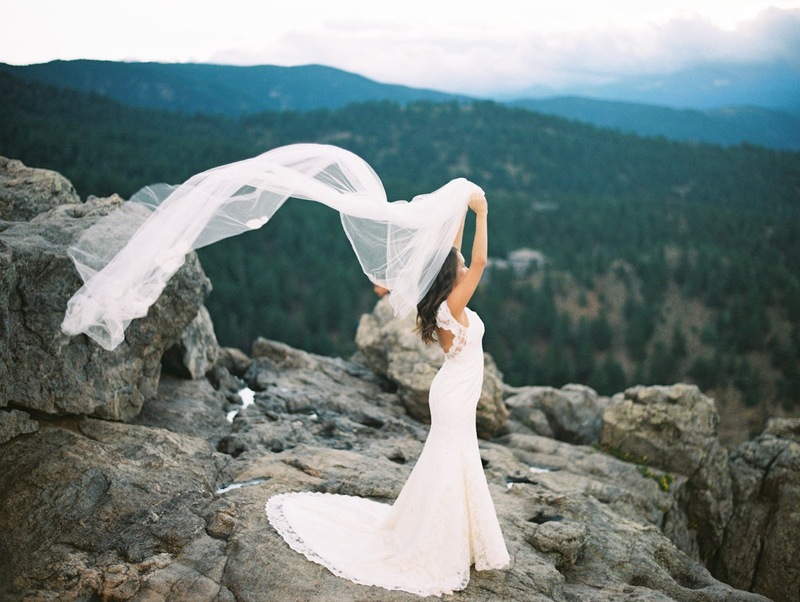 StarDust Bride Jenna is an absolute stunner in her uber-romantic Claire Pettibone wedding gown! I mean. 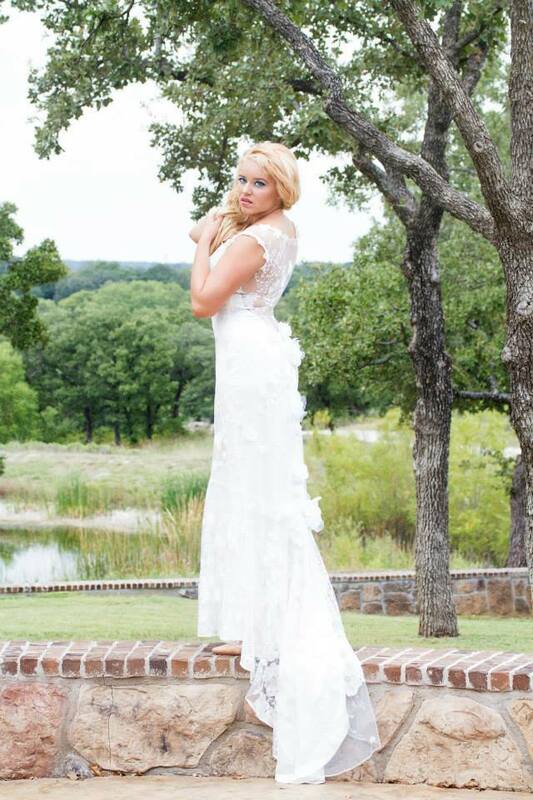 The lace, the dramatic back, her cascading blond curls. 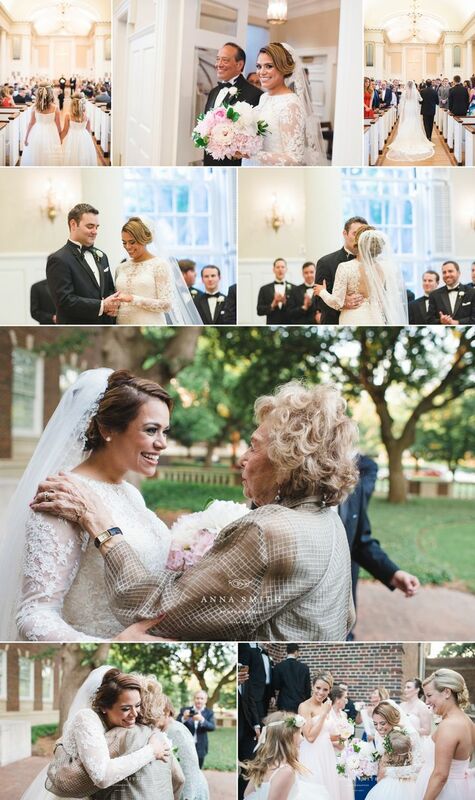 You can see that her handsome groom is smitten, and it is no small wonder! 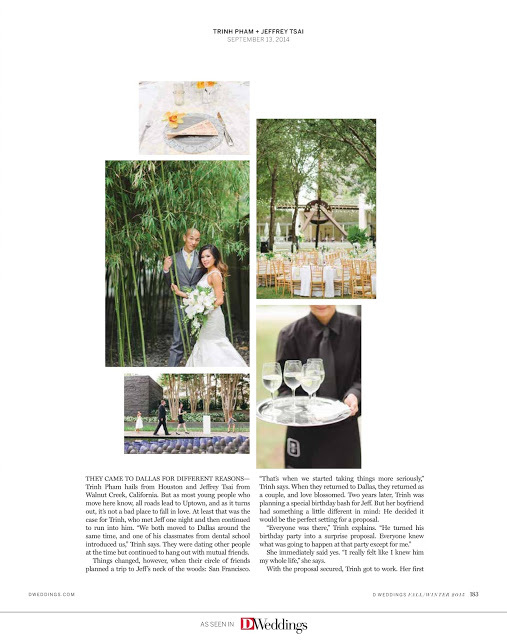 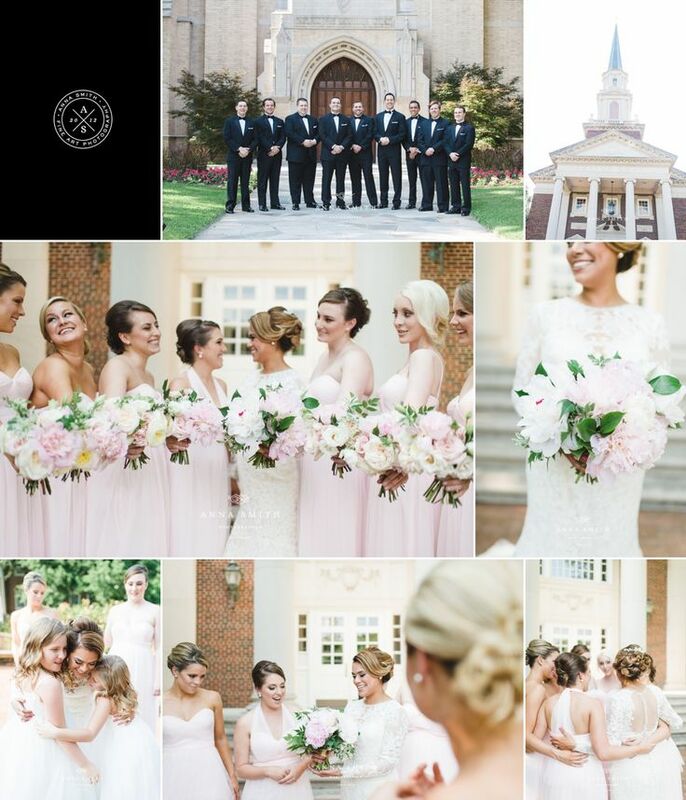 Thank you, Jenna, for sharing these gorgeous photos with us and for allowing us to be part of your wedding planning journey! 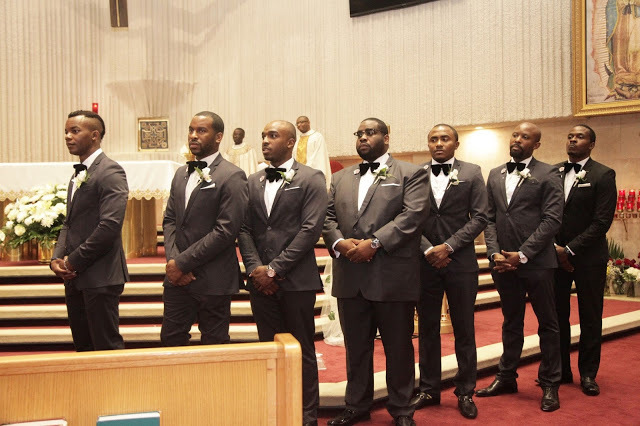 We wish you forever love! We love giving shout outs to our beautiful brides and so appreciate it when the designers do it, as well! Augusta Jones features some of their real brides as the Bride of the Moment on their Facebook page and right now, gorgeous StarDust Bride Julie is AJ’s Bride of the Moment, resplendent in her Anita bridal gown! 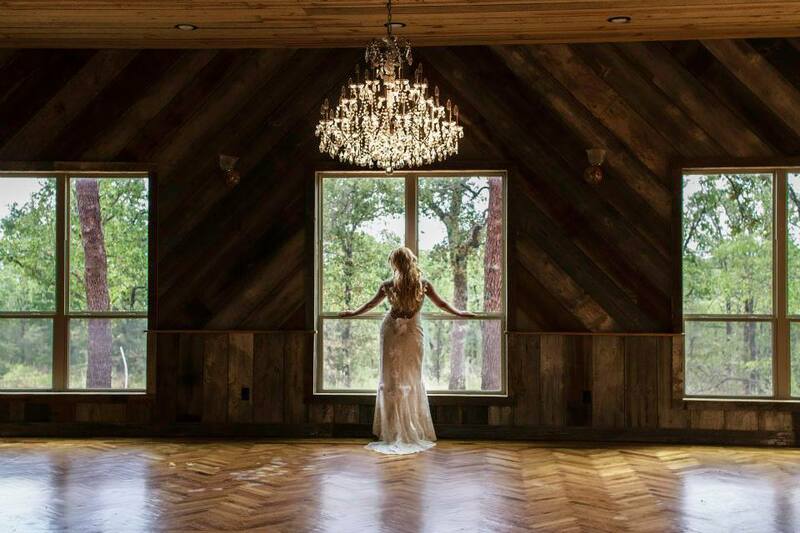 This bride, y’all. 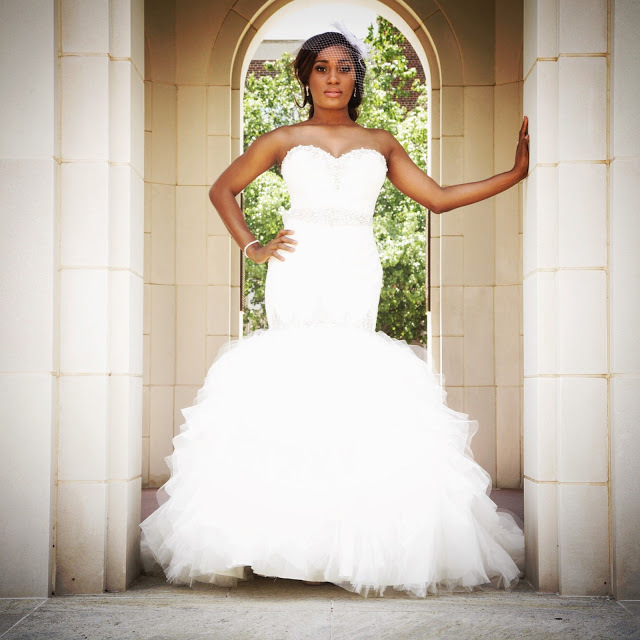 She is gorgeous!!! 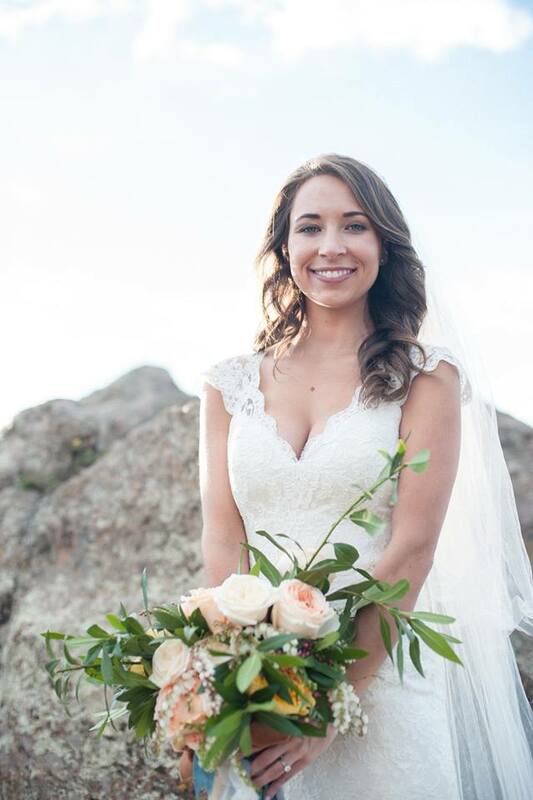 Beautiful LuLu’s bride Olivia found her dream gown in Mori Lee 2685, and we think you’ll agree it is a perfect fit for her! 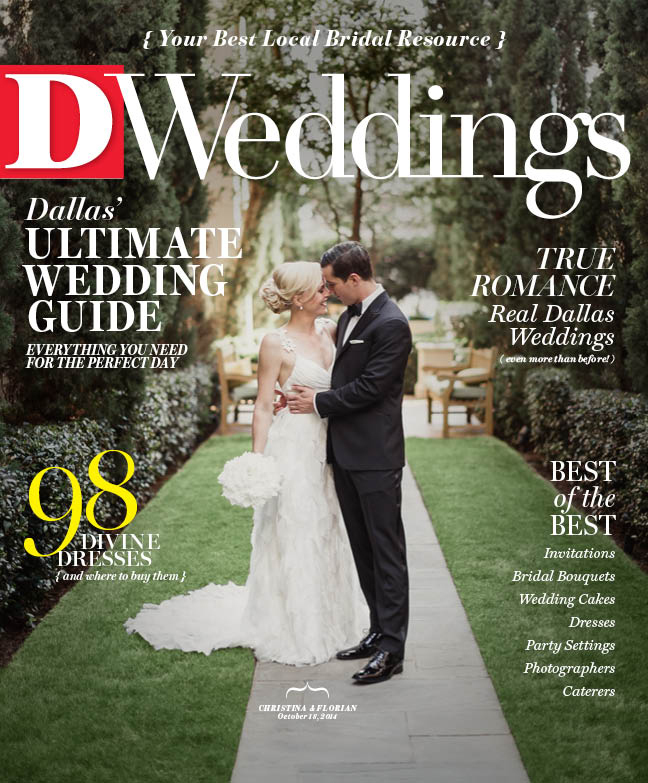 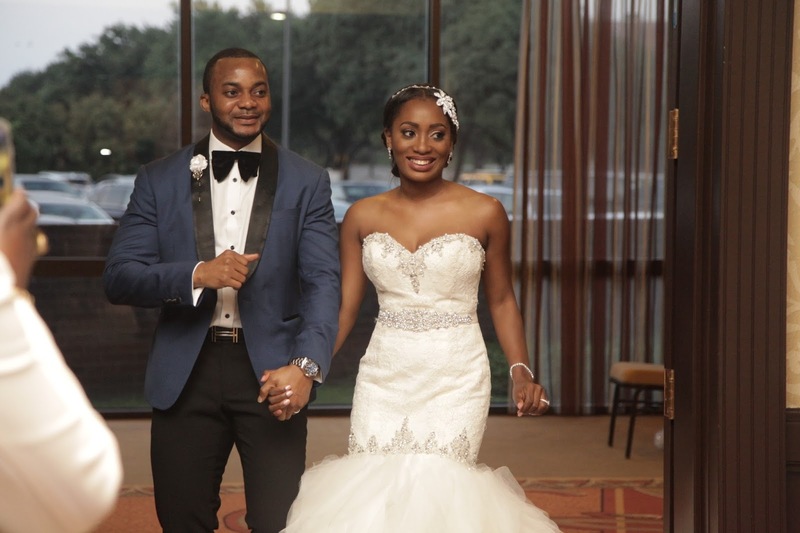 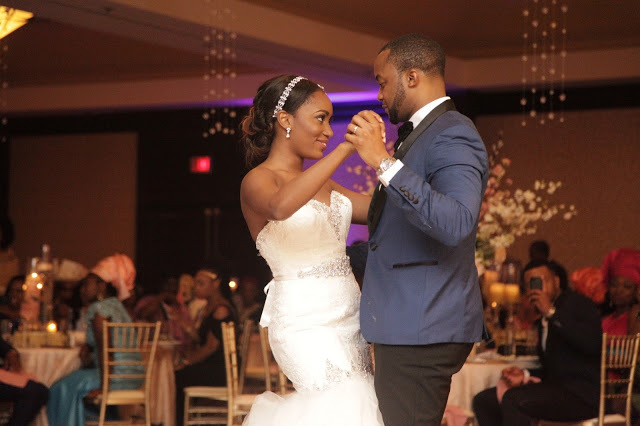 Olivia married her dapper groom Valentine and celebrated big at the Hyatt Regency Richardson Hotel. 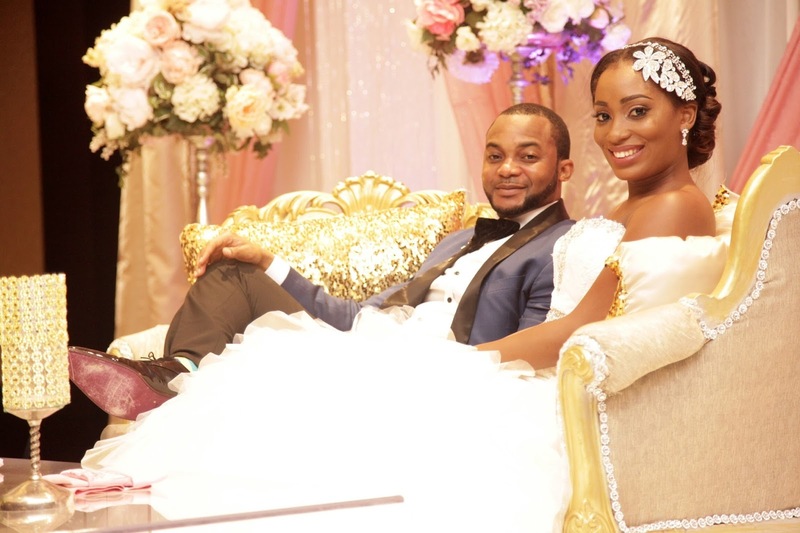 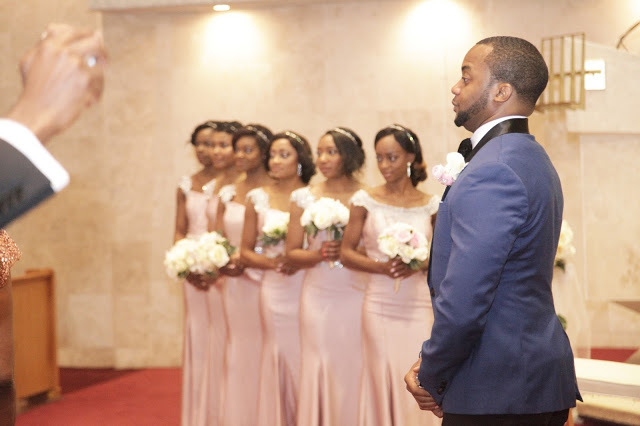 LOVE, LOVE, LOVE Valenine’s face when he first lays eyes on his breath-taking bride! A few more of swoon-worthy Olivia! 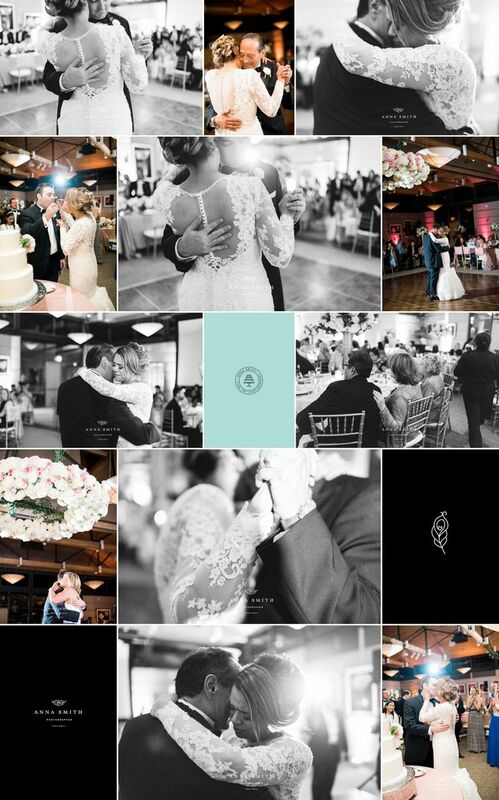 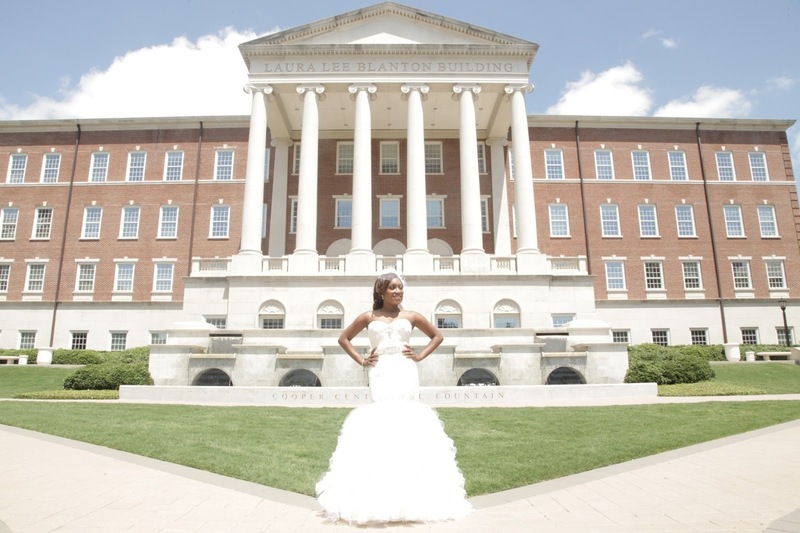 Thank you, Olivia, for sharing photos from your big day. 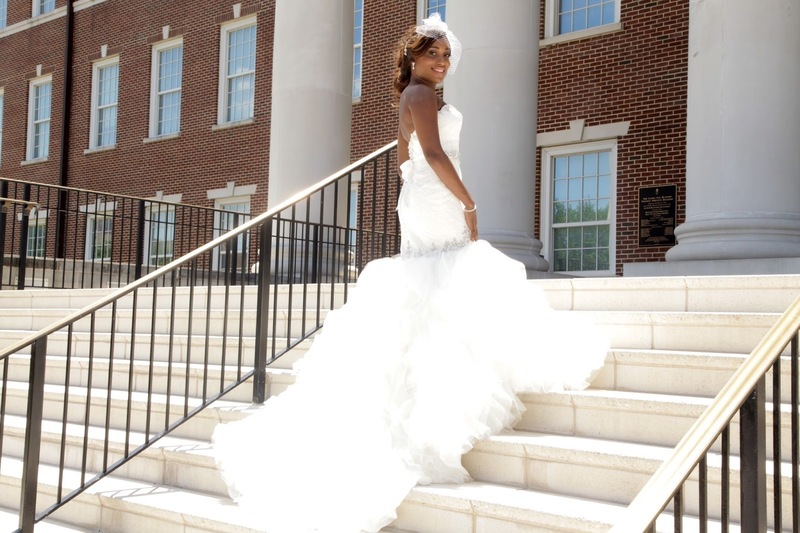 We are so happy we could help you find a bridal gown that is just exquisite on you! We wish you and Valentine a lifetime of love and happiness! 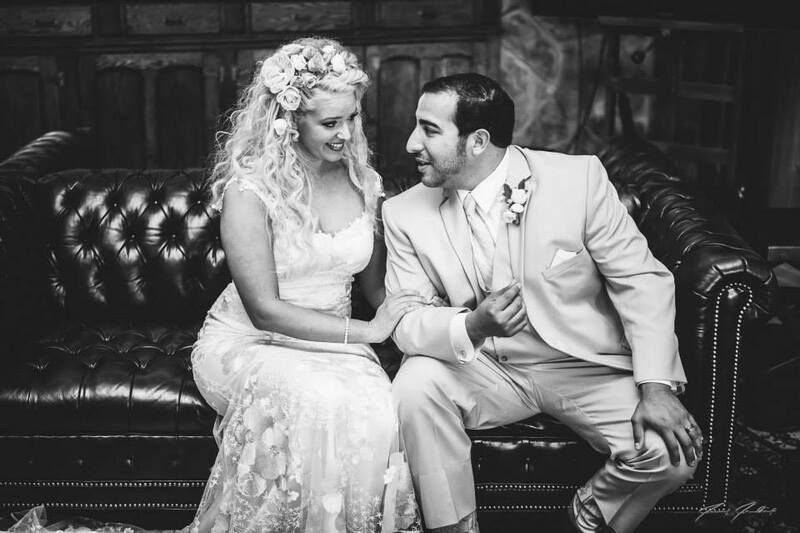 Olivia is wearing Mori Lee style 2685 while Valentine is outfitted in a custom outfit by Resso + Roth. 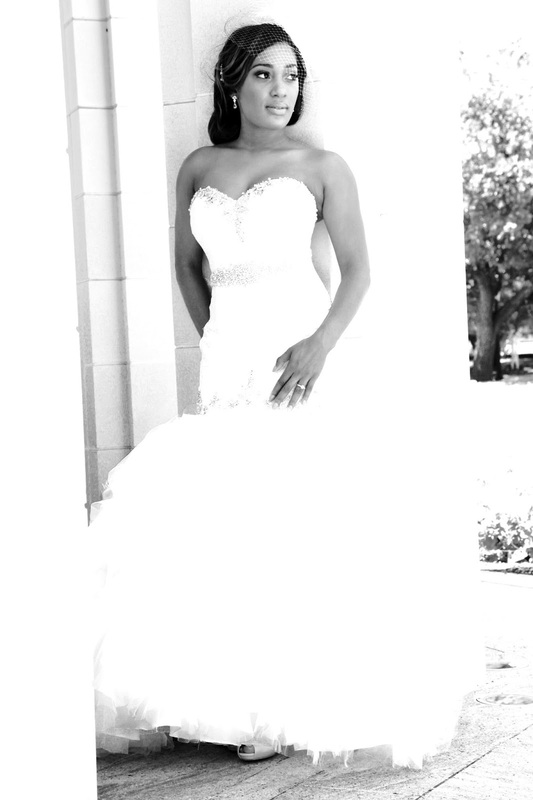 Photography by Desmun Dangerfield of Dangerfield Media.